During the past one and a half decade, we were witnesses to hundreds of horrendous and ambiguous incidents which have been carried out by covert intelligence circles in Afghanistan but always blamed on the Islamic Emirate. Later it has however been proved that the Islamic Emirate was not involved but at the time of the incident, they intentionally pointed fingers at the Islamic Emirate. In fact these wicked circles and people believe that they can kill two birds with a single shot and isolate the Islamic Emirate inside the country and globally. The incident of Kandahar on 10th of January is also one of such incidents. The Mujahideen of the Islamic Emirate had no plan of operations on that day in Kandahar and immediately denied their involvement in the incident. 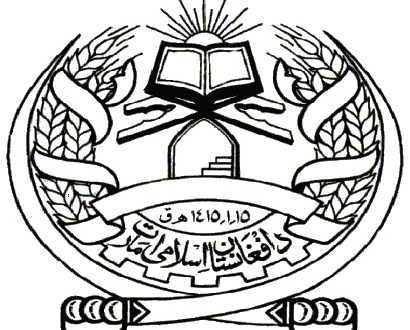 But officials of the Kabul Administration, both in Kabul and Kandahar, started leveling allegations against the Islamic Emirate even prior to investigation of the incident. Among others, they simultaneously tried to draw attention of the people inside and outside the country to other issues to cover their recent military and political failures. Linking every incident to the Islamic Emirate is an easy task but it is neither rational nor acceptable that the Islamic Emirate be responsible for each and every incident. All know that access to such a sensitive and secure place is impossible for the Islamic Emirate. Only people who are at the realm of power can gain access and easily carry out such a complicated attack at such an opportune time. Furthermore can there be any need for the Islamic Emirate to carry out such an attack which is contrary to its interests and can complicate its objectives or push it farther away? As a principle, it is not the policy of the Islamic Emirate to target individuals who assist the miserable people of Afghanistan. International organizations working in the country know that the Islamic Emirate cooperates with them on a daily basis to provide them facilities regarding their work across the country. Moreover the Islamic Emirate has already published statements to facilitate national and other projects of public benefits and their spokespersons have made clear this agenda in the media from time to time. The Islamic Emirate had good relations with the United Arab Emirates from the very beginning and still wants good relations with them. We express our deep sorrow and sadness over the killing of UAE diplomats in this masked incident and would like to extend our condolences to our brother Islamic country of the United Arab Emirates for this great loss of life. The objective of the Islamic Emirate is clear which is to target the invaders and their allied troops. Apart from this, we welcome the legitimate humanitarian assistance of the Islamic and non-Islamic countries with the people of Afghanistan. We would like to assure the Islamic countries that we are ready to provide security and facilities for your welfare works, aimed at improving the life of the miserable Afghan people and at implementing and reconstructing national projects in the country. The concerned commissions of the Islamic Emirate are well prepared for facilitation and coordination as regards your (humanitarian) activities.